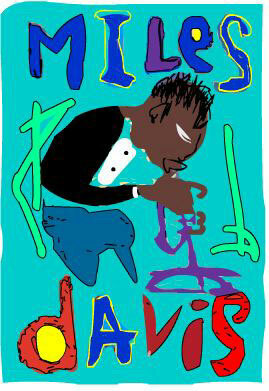 Check out My Blog: Obama and Miles Davis! The life of Miles Davis is one of the most exciting stories in the History of Jazz! 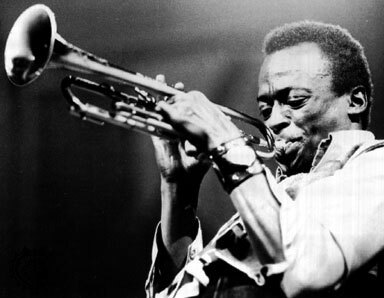 Miles Davis is the best known musician in Jazz.The dude was just uncompromising in his life and music. He played on various early bebop records and recorded one of the first cool jazz records. He was responsible for the development of modal jazz, and both jazz-funk and jazz fusion came from his work with other musicians in the late 1960s and early 1970s. Davis had a pure, round sound but also an unusual freedom of articulation and pitch, and started developments from popular music to the avant garde. Miles Davis was never considered to be the best cat with technical ability... The man had GREAT IDEAS! His greatest achievement as a musician was to move beyond being regarded as a distinctive and influential stylist on his own instrument. Miles shaped whole styles and ways of making music through the work of his bands. And boy was he shrewd! Miles used some of the most important jazz musicians in his bands... he smelled talent and used alot of young cats in his bands...including pianist Herbie Hancock and saxophonist John Coltrane. Miles was also a sharp dresser. He wore some funky threads on stage before alot of other jazz cats had the guts to do it. Miles also liked the ladies... ALOT! He wasn't the nicest cat to the skirts, but he was just being MILES! The drugs, the women, the music... what a life! Back to Life Of Miles Davis and other Jazz Cats!